When one thing comes between you and your family's safety, you cannot afford to make any mistakes. 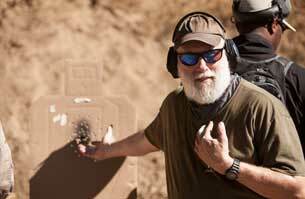 Your weapon is only as good as its operator: Train consistently, train frequently. A full day of hunting, just one animal, just one shot. Make sure it counts. We love getting feedback from our customers on how our ammunition performs. 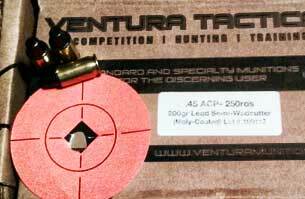 Below are a couple messages sent by satisfied Ventura Tactical ammunition users. Not One Jam - B.K. Keep up the Good work! - D.S. .300 Blackout 125gr SMK - G.T. 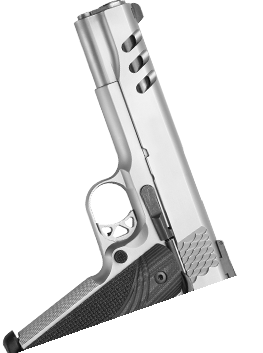 We strive to offer as many calibers as possible. See below for our current production lineup. If you have questions or requests, use the contact us page. For Law Enforcement and Dealer sales, use the Contact page. 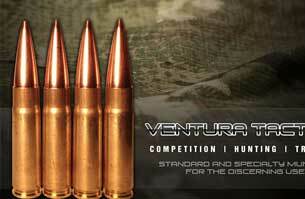 To purchase Ventura Tactical Ammunition now, visit Ventura Munitions.